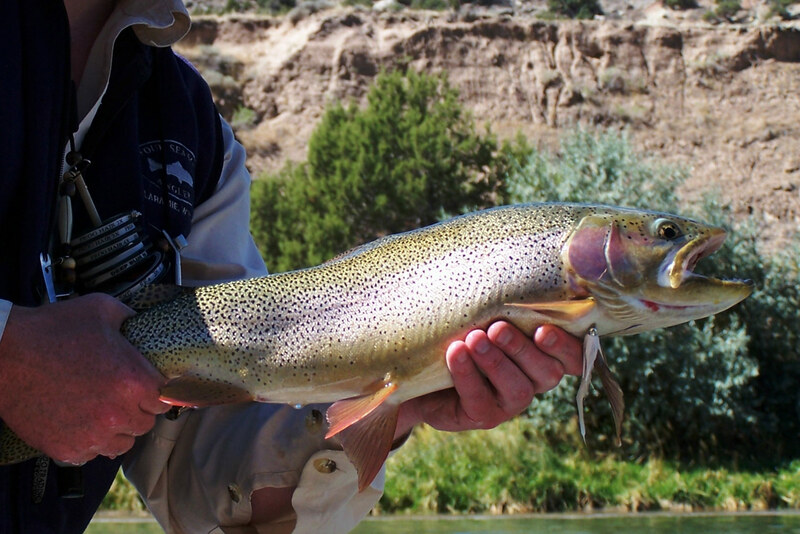 Join Four Seasons Anglers for two days of fly fishing that you’ll remember for a lifetime on the Wyoming Trophy Trout Trip. This fishing trip begins at our private stillwaters on a local ranch located northeast of Laramie and finishes up on the Blue Ribbon Gray Reef section of the North Platte. Water conditions, the guide’s suggestions and client’s preference will all be used in deciding which section of the Gray Reef to float. 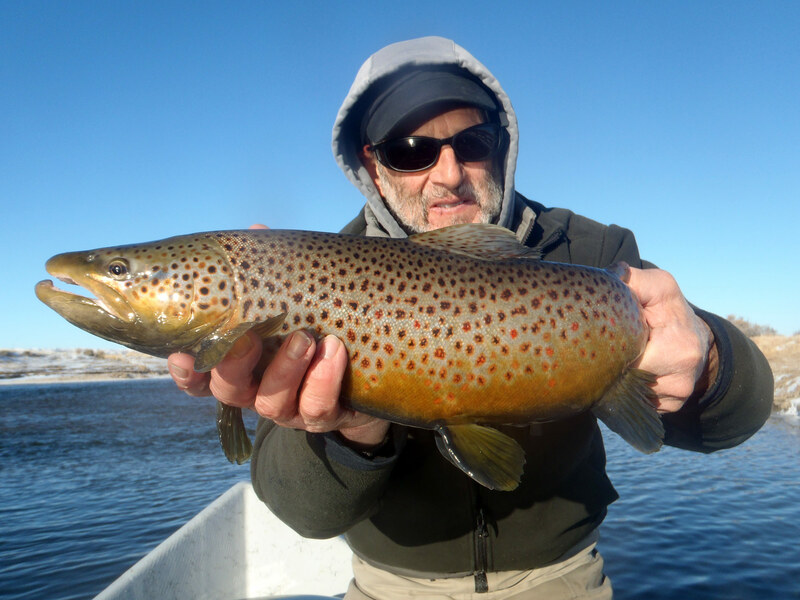 The Wyoming Trophy Trout Trip can be customized in any way you want, for example two days on our private stillwaters, two days on the Gray Reef, or one day on each. We will spend the night near the river in Alcova before floating the Gray Reef (place our waters grey reef link) for the second day of guided fishing. 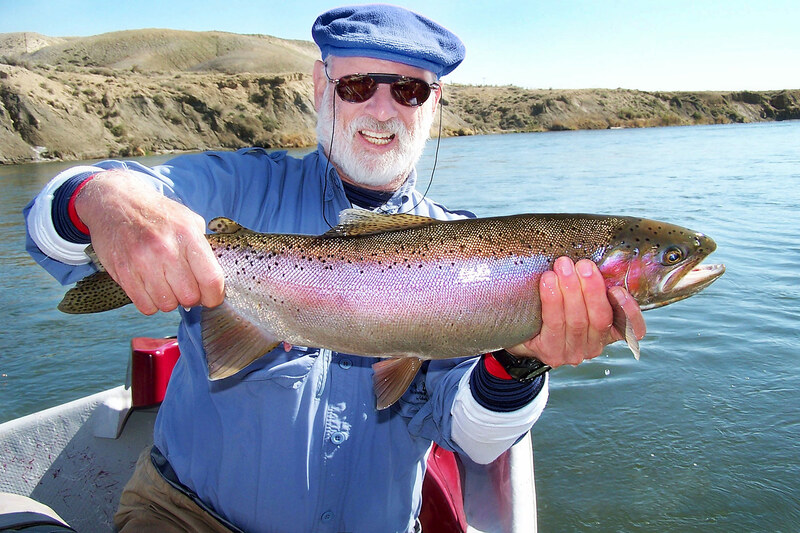 The Gray Reef is considered one of the best Rainbow trout fisheries in the country with fish averaging 16-20 inches and plenty of fish in the 10+ pound range. The Gray Reef begins below Gray Reef Reservoir, a small impoundment just below Alcova Reservoir, and flows northeast towards Casper. We get tremendous hatches on this river, including BWO’s, PMD’s, caddis, Yellow Sallies, and Trico’s. The Gray Reef is a slow moving river with lots of frog water and very few island braids making it hard to read, so going with a guide is a great idea. These spring fed lakes contain a vast amount of trout food including; damsel flies (adults taken on surface regularly), Callibaetis, Tricos, leeches, scuds, hoppers, and several caddis species. Fish 20 + inches are readily taken on large dry flies. 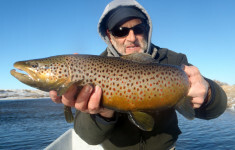 To get to the large brookies and rainbows we strip streamers, woolly buggers, and leech paterns with 4 to 6 weight rods and floating or sink tip lines. Unlike most lakes in southeast Wyoming, our private lakes have a couple of areas to get relief from the wind. This part of Wyoming has been known to have “some” wind so having a place to escape it is very important. Cancellations must be received two weeks prior to date of booking to receive full refund.